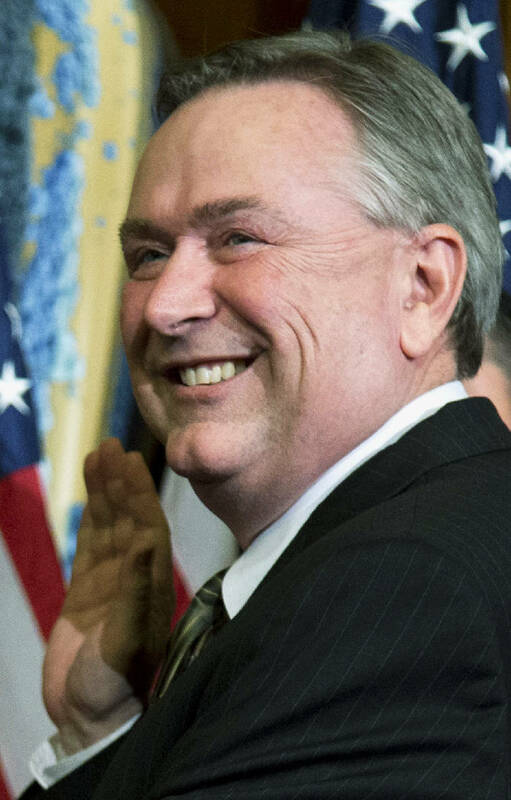 HOUSTON (AP) - Former Texas Rep. Steve Stockman, who invited rocker Ted Nugent to President Barack Obama's 2013 State of the Union address, is accused of spending money meant for charity on himself and contributions to his campaign. Stockman, a Republican who served two non-consecutive terms in the U.S. House, is charged with conspiracy to make conduit contributions and false statements. He was released from custody after a hearing Friday in Houston federal court. The Houston Chronicle reports that Stockman on Friday blamed his arrest on a "deep state" shadow government, which is a theory that has taken hold among some conservatives that there is a shadowy network of powerful entrenched federal and military interests working to undermine President Donald Trump. In an affidavit, FBI Agent Vanessa Walther wrote that in January 2013, shortly after starting his second House term, Stockman solicited $350,000 in charitable donations from an unidentified wealthy businessman on behalf of a Nevada-based nonprofit, Life Without Limits, which had been set up to help people through traumatic events. The donation was solicited for the purpose of renovating a house in Washington, D.C., called the Freedom House. But the check was deposited at a bank branch in Webster, Texas, into an account set up by Stockman doing business as Life Without Limits, according to the affidavit. Financial records show that Stockman made no significant expenditures toward the purchase, renovation or operation of Freedom House, which never opened. Rather than spending the money on Freedom House, Stockman secretly diverted the money to pay for a variety of personal expenses and to funnel contributions to his campaign under the guise that they were from other people, the affidavit states. "It is a crime for a campaign contribution to be made by one person in the name of another. It is also a crime to make a false statement" to the Federal Elections Commission, according to Walther's sworn statement, which was unsealed Friday. Stockman served a term in the U.S. House from 1995 until 1997 and another from 2013 until 2015. He ran for the U.S. Senate in 2014 but lost in the Republican primary to incumbent John Cornyn, who won re-election. This story has been changed to slightly correct the wording of the sworn statement from Walther.